Freshman, writer, student, journalist. Jack Marsden is new to The Red Ledger staff. 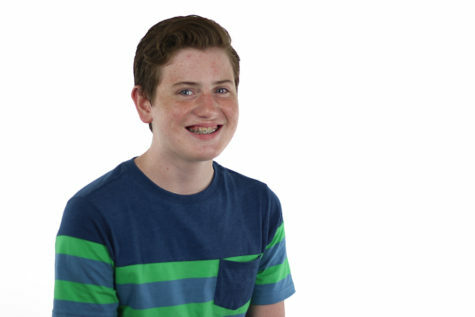 He joined the newspaper in seventh grade and loved the program from day one. Jack often chooses not to speak and instead to watch those around him, observing how others react. Although quiet, Jack always wants to try his hardest at whatever is thrown his way. In his free time, Jack participates in band and theatre and loves to watch “Doctor Who” and be outside. Although born in New York City, he’s lived in Texas for ten years with his two sisters, one of which is a junior at LHS, and two little brothers. Jack likes to consider himself a thinker and will constantly have random thoughts spinning about his head. Jack joined newspaper for a chance to write and learn more about the school and the outside world. He's excited this year for the chance to write and create on this staff.